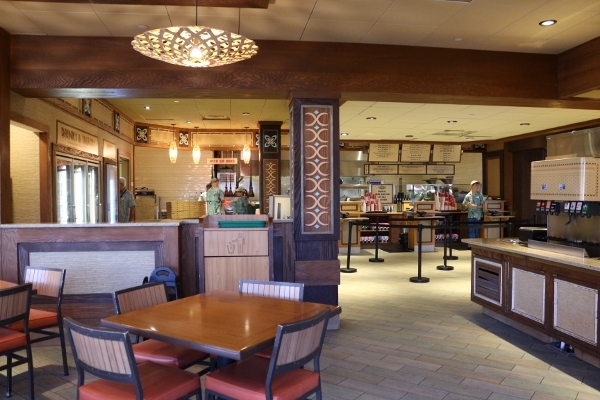 When we recently stayed at the Villas at Disney's Grand Floridian Resort & Spa, for dinner one night we walked over to Disney's Polynesian Village Resort, which is right next door. 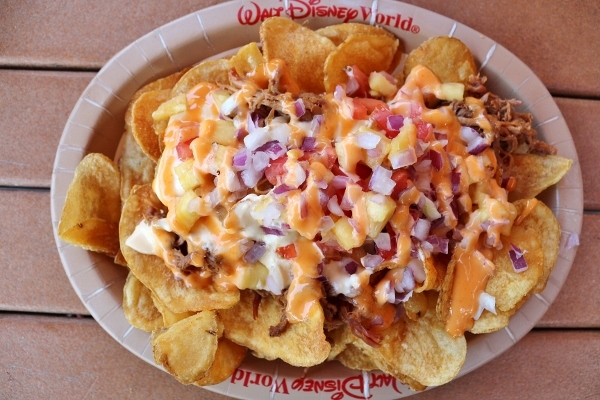 No, we didn't have reservations at the ever popular Ohana, but rather were looking for a simple and quick meal before heading back to the park later that evening. 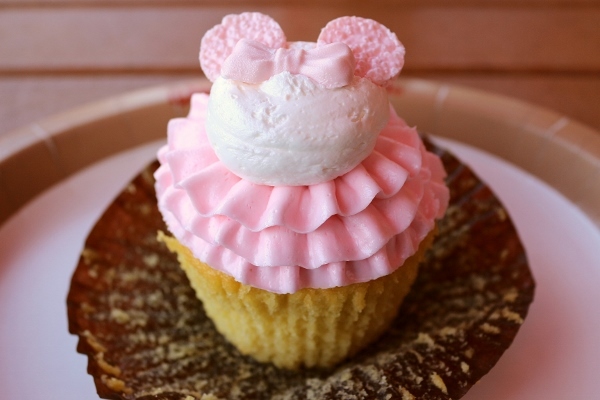 The quick service dining options at the Grand Floridian didn't sound too appealing, so we decided to try Capt. Cook's instead. It has a more exotic menu than some other resort quick service locations. 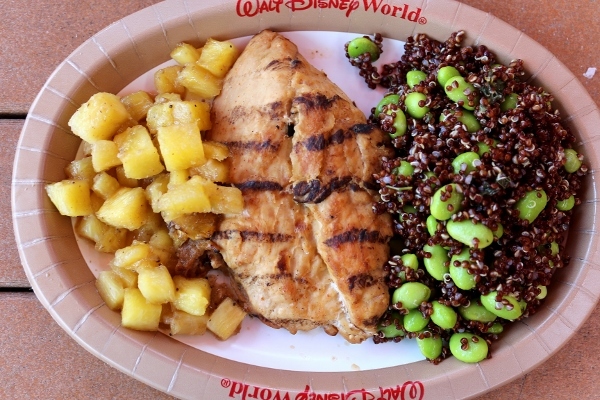 The Seared Chicken Breast is served with pineapple sambal and red quinoa-edamame salad, definitely not your standard quick service chicken breast. The sides definitely add a more tropical touch. 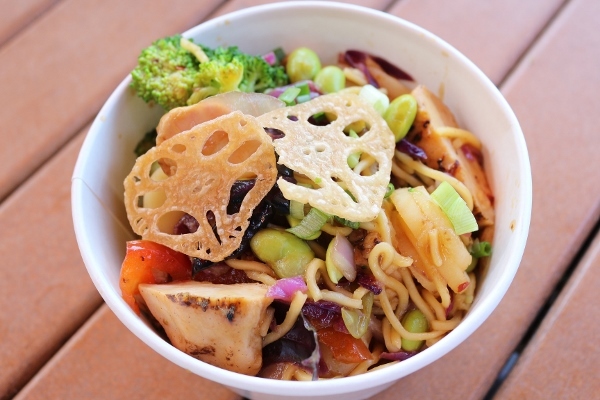 The Pan-Asian Noodles with Vegetables are a popular option that can also be served with chicken or shrimp. Although this wasn't my pick, the two family members who chose this item really enjoyed it, and said that looks can be deceiving. The small cup is chock full of noodles and TONS of chicken. This was more filling than expected at first sight. 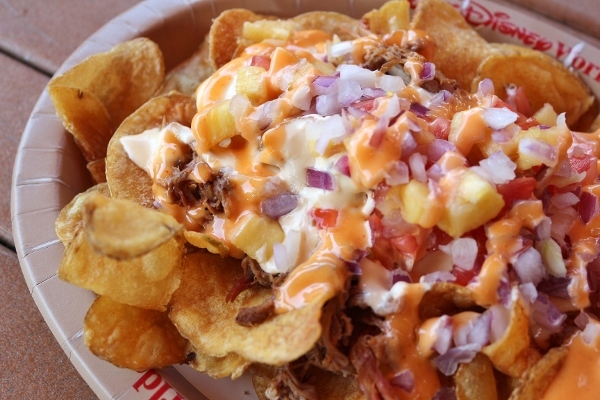 I had eaten the famous Pulled Pork Nachos years ago at Tambu Lounge, and really loved them, so I decided to order them again here at Capt. Cook's. Unfortunately they were not quite as good as I remembered. There could be a couple reasons for this. One, it looks like now they are served exclusively with potato chips, whereas in the past it was a combination of potato chips and fried wonton skins. 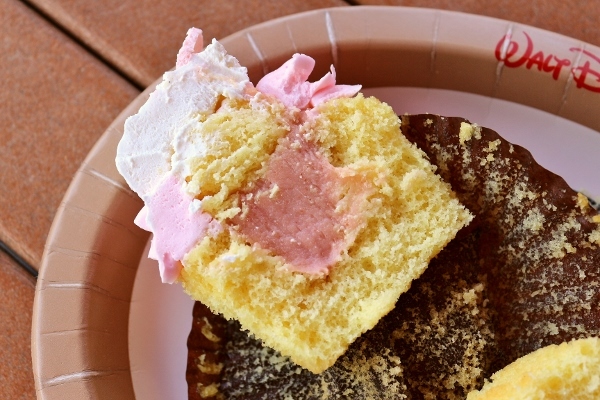 For dessert we tried one of the new Millennial Pink treats that were released around Walt Disney World Resort this spring. 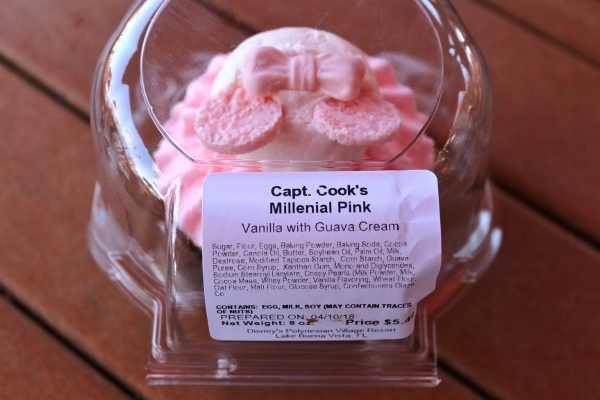 This Millennial Pink Cupcake is a vanilla cupcake with guava cream filling, and it's only found at Capt. Cook's. Not only is it adorable, but it's actually really good! 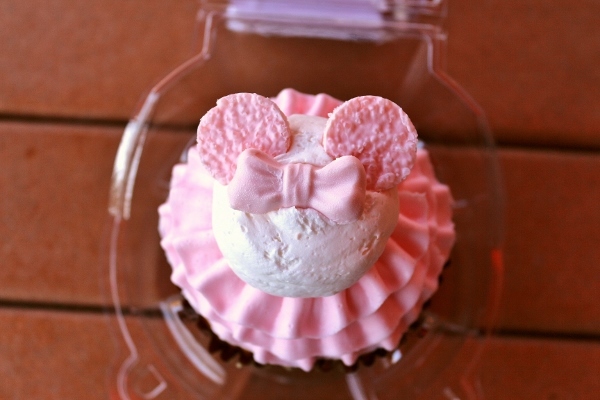 The cupcake is moist and delicious, the filling is tasty, not too tart or sweet, and the buttercream frosting is light. 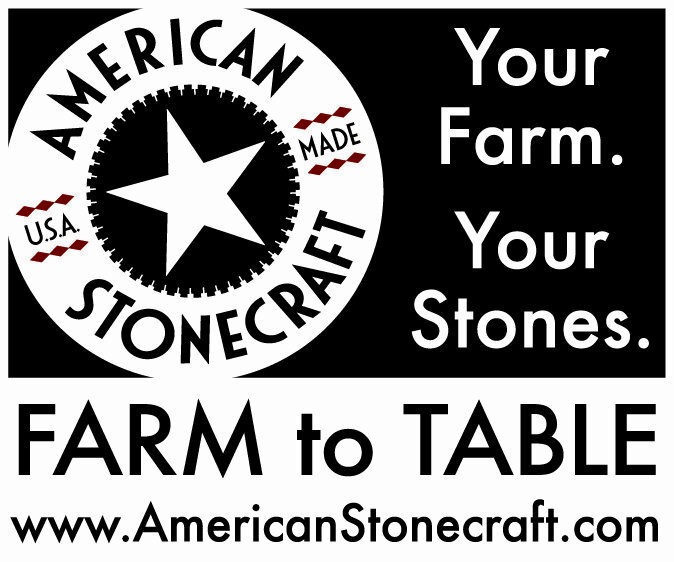 We scarfed this down! Generally speaking, my family was quite pleased by our simple, quick, and affordable (by Disney standards) meal at Capt. Cook's. It was a nice change visiting one of our favorite resorts and enjoying the ambiance of the Polynesian, and with the exception of my cheeseless nachos the meal was satisfactory.